List of configuration parameters supported by latest stable Porteus Kiosk release can be found below. c) force certain values for other parameters, e.g. 'debug=yes' enforces 'homepage=/var/log/debug' and clears the whitelist. If you are not sure about the kiosk config rules or parameters syntax then please take advantage of the Kiosk Wizard tool to generate your kiosk configuration. Connection type used in kiosk. If the parameter is not present then system defaults to wired connection with automatic network configuration (dhcp). Dhcp is the default network configuration method used in kiosk. If the parameter is not present then system defaults to automatic network configuration unless manual network configuration or dialup connection are used. Static IP address for specific network interface. If the parameter is not present then system defaults to automatic network configuration (dhcp). Default network interface name. If the parameter is not present then system wont be able to connect to the wired networks when manual network configuration is used and wireless networks. Default gateway for the network traffic. If the parameter is not present then system can communicate with localhost only when manual network configuration is used. 32-bit mask used to divide an IP address into subnets and specify the networks available hosts. If the parameter is not present then system defaults to '255.255.255.0' netmask. Address of the server which does the translation (resolution) of domain names and hostnames into the corresponding IP addresses. If the parameter is not present then domain name resolution wont be possible when manual network configuration is used. Multiple parameter values must be separated by space. Wired authentication protocols used to prevent accessing the network by unauthorized PCs. The only supported protocol at the moment is EAP over LAN (802.1x). If the parameter is not present then connecting to networks requiring authentication is not possible. Username required for authenticating to 802.1x networks. If the parameter is not present then connecting to networks utilizing EAP over LAN authentication is not possible. Password required for authenticating to 802.1x networks. If the parameter is not present then connecting to networks utilizing EAP over LAN authentication is not possible. Wireless network (Access Point) name. If the parameter is not present then connecting to wireless networks is not possible unless hidden_ssid_name parameter is provided. Wireless network (Access Point) which does not broadcast its name. If the parameter is not present then connecting to wireless networks is not possible unless ssid_name parameter is provided. Wireless encryption scheme used to protect the connection. Supported methods are: WEP, WPA/WPA2 Personal, WPA/WPA2 Enterprise (EAP-PEAP). If the parameter is not present then connecting to encrypted wireless networks is not possible. Key required to access WEP protected wireless networks. If the parameter is not present then connecting to WEP wireless network is not possible. Password required to access WPA/WPA2 protected wireless networks. If the parameter is not present then connecting to WPA/WPA2 Personal wireless network is not possible. Username required to access WPA/WPA2 Enterprise protected wireless networks. If the parameter is not present then connecting to WPA/WPA2 Enterprise wireless network is not possible. Password required to access WPA/WPA2 Enterprise protected wireless networks. If the parameter is not present then connecting to WPA/WPA2 Enterprise wireless network is not possible. Username required to dial into PPP networks. If the parameter is not present then connecting to PPP network is not possible. Password required to dial into PPP networks. If the parameter is not present then connecting to PPP network is not possible. Phone number required to dial into PPP network. If the parameter is not present then connecting to PPP network is not possible. Automatic proxy configuration through the PAC file. If the parameter is not present then system wont use the proxy server unless manual proxy configuration (proxy parameter) is provided. Parameter value must have an URL format. Do not use the proxy for specified IPs/hostnames. If the parameter is not present then network traffic goes through the proxy server (proxy must be configured) except for '127.0.0.1/localhost' which is excluded by default. Multiple parameter values must be separated by space. Default browser used in the kiosk. When selecting Google Chrome you automatically agree to the terms and conditions of respective proprietary license: link. If the parameter is not present then system defaults to the browser selected during installation. WARNING: if you use browser_preferences parameter then please remember to update browser preferences file (or disable 'browser_preferences=' parameter completely) when swapping the browser otherwise Firefox/Chrome may behave incorrectly. Load kiosk configuration from the network during every system startup. The kiosk will reburn itself automatically when remote configuration is changed. This option allows to centrally manage multiple kiosk PCs from one location. Please read following document to find additional information about this powerful feature: link. Configs hosted on the web location can be protected with SSL and username/password. Configs hosted on Porteus Kiosk Server (server://config_name) are protected with SSL and SSH tunnels automatically. In case of doing manual edits to the config under Windows please make sure it's saved with ANSI or UTF-8 encoding as UTF-16 (Unicode) is not supported in kiosk. If the parameter is not present then it's not possible to remotely manage the kiosks through central configuration file. NOTE: 'server://' part is a text string indicating connection type and not the IP or domain of your Server. Associate kiosk client with Porteus Kiosk Server. You need to provide domain/IP address and port on which the the server is accessible. If you enable this function then SSH and VNC components must be activated to allow communication between the client and the server. If the parameter is not present then kiosk can not be accesses and managed from the server. The following parameter value format must be preserved: 'domain:port' or 'IP:port'. Assign client ID to kiosk. Client ID is a port opened on the server side and used for communication between the server and the client. If client ID is set as 'automatic' then ID number will be assigned automatically to the clients in range 2000 - 4999. You can manually assign specific client ID to the kiosk. This is useful if you want to divide the clients into groups (e.g. 5000-5100, 6000-6100) or have them displayed in a specific order in the Administration Panel. Manually set ID number must be included in following range: 1024 - 65535. NOTE: if VNC service is enabled on the server then relevant client ID must be skipped as VNC daemon listens on that particular port already. Sample: if VNC service is configured to accept incoming connections on port 15900 then parametr 'client_id=15900' cant be used in kiosk configuration as this port will be used by the server's VNC daemon. If the parameter is not present then kiosk will defult to 'client_id=automatic'. The firewall controls network traffic for the kiosk. Default rules are set to reject all incoming/forwarded connections and allow outgoing traffic. Use this parameter only when you need to add a non standard service to kiosk (e.g. apache/mysql servers) or allow incoming RTP/UDP network stream. If the parameter is not present or its value is set to 'no' then incoming/forwarded connections are not allowed. Answer incoming ICMP queries. This is useful when you want to check if the kiosk is up and running from another computer using the ping utility. If the parameter is not present or its value is set to 'no' then ICMP protocol is blocked unless disable_firewall=yes parameter is used. Wake up the kiosk PCs remotely by sending a magic packet to them. Please follow this guide to find about requirements: link. If the parameter is not present or its value is set to 'no' then its not possible to wake the kiosk remotely. Fixed aliases-to-address mappings for local host. Use this parameter if the kiosk is having troubles resolving non fully qualified domain names, e.g: http://server.local. If the parameter is not present then '127.0.0.1 localhost' is the only alias defined in the system. The following parameter value format must be preserved: 'IP domain' or 'IP domain hostname'. Multiple parameter values must be separated by a pipe character: '|'. Custom hostname for the kiosk. Whitespaces in the name are not supported. This feature is useful if you want to indentify the kiosk in the logs or through the shell prompt. If the parameter is not present then hostname defaults to "kiosk". If hostname is not defined and if Porteus Kiosk Server association is enabled then hostname is set to the client_id number automatically. Custom homepage for the browser. SSL addresses (https://) and webpages hosted on non standard ports (http://domain.com:8888) are supported. Local pages from the offline content (e.g. : file:///var/www/localhost/index.html) are supported only when enable_file_protocol=yes parameter is provided. If the 'homepage' parameter is not present then kiosk defaults to 'http://porteus-kiosk.org' for the homepage. The parameter value must have an URL format. To start the browser with multiple tabs opened, the parameter values must be separated by a pipe character: '|'. Append a specific string to the homepage which can be either the MAC address of the default network interface or kiosk hostname. This feature is useful if you want to identify the kiosk in your web server logs. If the parameter is not present then nothing is added to the homepage. Perform a homepage check to make sure that online webpage is accessible before launching the browser. System notification is displayed every 10 seconds for the case when homepage is not available. If the parameter is not present then the browser will be started straight after boot no matter if the homepage is available or not. URLs and IPs which you want to allow in the browser. Everything else will be blocked. 'about:' and 'chrome:' protocols are blocked by default. 'file://' protocol can be controlled through the enable_file_protocol=yes parameter. Wildcards are enabled by default. Please do not use the "*" character as it breaks the URL filter. Multiple parameter values must be separated by space. URLs and IPs which you want to block in the browser. Everything else will be allowed. 'about:' and 'chrome:' protocols are blocked by default. 'file://' protocol can be controlled through the enable_file_protocol=yes parameter. Wildcards are enabled by default. Please do not use the "*" character as it breaks the URL filter. Multiple parameter values must be separated by space. Disable private mode to let the browser remember form/search history, cookies and caches during the session. Signons (login/password) are not remembered unless enabled through a separate parameter below. A browser restart still returns to factory defaults. Use with caution as caches are saved in RAM (unless 'persistence=full' paraemter is used) and may slow down the kiosk when the PC has low memory. If the parameter is not present or its value is set to 'no' then private (incognito) mode is used by default nothing is remembered during the session. Password manager allows remembering logins and passwords to the websites. This option is active only when private mode is disabled. Use with caution. If the parameter is not present or its value is set to 'no' then website logins are never remembered during the session. Set default search engine for the browser. Google is default search engine in kiosk as it supposed to offer more accurate search results. If privacy is your top priority then you may enable DuckDuckGo engine which claims to never track, store or share users personal information. If the parameter is not present or its value is set to 'google' then Google's search engine is used by default. Enable bookmarks toolbar in the browser UI and display provided webpages in it. Generic favicon will be used until user clicks on the bookmark. You may define the bookmark name by placing it at the end of the bookmark URL and between the pipes. Spaces in the bookmark name must be replaced with an underscore. If the parameter is not present then bookmark toolbar remains disabled in the browser. Parameter value must have an URL format. Multiple parameter values must be separated by space. Import additional SSL certificates from a file (certificate.crt, certificate.pem) or directly from the domain to certificate database during every system boot. If the parameter is not present then kiosk uses only SSL certificates which are available in the system by default. Following parameter value format must be preserved: 'URL', 'domain:port' or 'ip:port'. Multiple parameter values must be separated by space. Allow popup windows which are opened as a new tabs in Firefox and directly on the screen in Google Chrome. If the parameter is not present or its value is set to 'no' then popup windows are blocked by the browser. Remove zoom controls from the Firefox UI, deactivate 'pinch to zoom' touch gesture in Chrome and block Ctrl++/Ctrl+- keyboard shortcuts. This is to prevent the users from changing zoom level in the browser. If Chrome has navigation bar enabled then its still possible to zoom in and out through the browser menu. If the parameter is not present or its value is set to 'no' then zoom controls are available to the user. Modify user agent for the browser. This may be helpful in forcing layouts on some websites which are set to support certain browsers only (eg. Internet Explorer 6) or identifying the Porteus Kiosk sessions with an unique string in web server logs. Use with caution as many web pages rely on the user agent to know how to display the webpage (e.g. phone, tablet) and an incorrect string may break the display of these pages for the kiosk. If the parameter is not present then kiosk uses default user agent for each supported browser. Allow browsing the file system using the 'file://' address in the browser. Use this parameter if you want to display offline content in kiosk. If the parameter is not present or its value is set to 'no' then it's not possible to access the system files through the 'file://' protocol. Add new or override default browser settings through an online text file containing browser preferences. Default Firefox preferences which we use in our system are stored in the /home/guest/.mozilla/firefox/c3pp43bg.default/prefs.js file, Chrome policies can be found in the /etc/opt/chrome/policies/managed/chrome.json file. For Firefox you may use all preferences listed in 'about:config' for relevant browser version, all available Chrome policies (mind some policies are only supported on Chrome OS, Windows or Mac systems) can be found here: link. Content of the online file will be added to default browser settings during every system boot. If preferences are doubled then online file takes priority over local settings. In case of doing manual edits to the file under Windows plese make sure its saved with ANSI or UTF-8 encoding as UTF-16 (Unicode) is not supported in kiosk. If the parameter is not present then browser uses default kiosk settings/policies only. Parameter value must have an URL format. Use with caution as browser upgrade could make certain preferences obsolete. WARNING: Firefox preferences and Chrome policies are NOT compatible. Please remember to update browser preferences file (or disable 'browser_preferences=' parameter completely) in case you swap the browser through the browser parameter otherwise Firefox/Chrome may behave incorrectly. Sample files containing browser preferences can be found here: Chrome, Firefox. Please mind that policies and preferences must have correct syntax. Disable the address bar in Firefox but keep the navigation toolbar and toolbar buttons present. Useful for displaying company intranet pages and removing external browsing. If the parameter is not present or its value is set to 'no' then address bar remains accessible in the browser unless disable_navigation_bar=yes parameter is used. Hide the Firefox navigation bar when not in use. When bumping the mouse into the top of the window the navigation reappears again. If the parameter is not present or its value is set to 'no' then navigation toolbar remains visible in the browser unless disable_navigation_bar=yes parameter is used. Disable the navigation bar to convert the kiosk into digital signgage station displaying a picture, video or a single webpage. If the parameter is not present or its value is set to 'no' then navigation bar remains accessible in the browser. Enable the onscreen buttons which allows to perform webpage navigation and other tasks when navigation bar of the browser is disabled. This is useful e.g. when user enters a blacklisted webpage and wants to go back to a previously viewed page. This parameter is active for Firefox only and when navigation bar of the browser is disabled. Supported parameter values (buttons) are: back, forward, refresh, home, zoom-in, zoom-out, print, close. If the parameter is not present then onscreen buttons will not be visible on the kiosk's screen. Toggle browser tabs with defined time interval. This option requires setting up multiple startup tabs in the homepage parameter and is active only when navigation bar of the browser is disabled. NOTE: this parameter tells the system to emulate "Ctrl+Tab" key shortcut every "X" seconds which breaks screensaver and session idle functions. Useful for digital signage purposes only. If the parameter is not present then browser tabs will never be toggled automatically by the system. Parameter value must be an integer (number of seconds). Refresh browser page with defined time interval. NOTE: this parameter tells the system to emulate "F5" key press every "X" seconds which breaks screensaver and session idle functions. Use for digital signage purposes only. If the parameter is not present then browser webpage will never be refreshed automatically by the system. Parameter value must be an integer (number of seconds). Use an online image (JPG or PNG) as your wallpaper. It will be downloaded and included in the kiosk ISO during system installation/reconfiguration. If the parameter is not present then kiosk uses default wallpaper provided with the installation ISO. Parameter value must have an URL format. Set the time (in minutes) of inactivity after which the session will be restarted. This enhances user security by resetting the Firefox/Chrome or whole session when user leaves the kiosk without closing his applications. Inactivity is considered as no mouse/keyboard/touch input. If session is restarted and there is no user activity detected then it wont be restarted again until the activity is sensed. This is to save on CPU cycles and power. If the parameter is not present then session will never be restarted automatically by the system. Parameter value must be an integer (number of minutes). Force session restarts every X minutes when idling. This option could be useful in specific cases, e.g. when browser homepage must be refreshed periodically for digital signage purposes. NOTE: this parameter breaks screensaver function. If the parameter is not present then session will never be restarted forcibly. Parameter value must be an integer (number of minutes). Custom persistence level for the guest's home folder. Set parameter value to 'session' in order to keep user data persistent when browser or session are restarted. Set it to 'full' to keep user data persistent all the time - even when system is rebooted or powered down. Useful mostly with private mode disabled for the browser. NOTE: When persistence is set to 'full' then power cut may corrupt persistent data causing persistent partition to be reformatted during next system boot. Please make sure that kiosk is powered down properly to prevent wiping the data. Use with caution. If the parameter is not present then all user data are cleared when browser or session are restarted. Create and use a swap file, the virtual memory extension of PCs real memory (RAM). Swap file is created on a persistent partition of the booting device. System burned on optical media (CD/DVD) or booted over network (PXE boot) cant take advantage of this feature. This option is less secure as some data may persist in the swap file. Booting media wont be spinned down when swap file is used. Enable this option only on PCs with low amount of RAM. If the parameter is not present then swap file wont be created in the system. Parameter value must be an integer (number of megabytes). Compress data in RAM using the zRAM kernel feature. It is faster than using swap on a hard drive and creates more (virtual) memory than using RAM alone due to the compression used. If the parameter is not present then a zRAM swap device is not created and used in the system. Parameter value must be given as percentage. The maximum amount allowed is 50%. Enable support for removable devices like usb sticks or flash cards. The only accepted filesystems are: FAT16/32, NTFS and XFS. Devices are mounted as read-only for Kiosk and read-write for Cloud and ThinClient variants under the /media folder and displayed in a separate tab in the browser. This feature allows kiosk users to read or upload images, PDFs and documents from external storage media or save files to it. If the parameter is not present or its value is set to 'no' then removable devices are never automounted in the system. Time zone used in the system. The hardware clock will be set through the NTP protocol during every kiosk boot if the PC is connected to the network. Make sure that your company firewall is not blocking the NTP protocol. A list of supported time zones can be found here: link. If the parameter is not present then kiosk defaults to time zone 'Factory'. Custom NTP server which will be used to sync hardware clock in kiosk. If the parameter is not present then default NTP server is 'pool.ntp.org'. Setup a RTC wake alarm to power up the kiosk at certain hour:minute within each day of the week. Your PC motherboard must support this feature and 'Wake up events' must be enabled in the BIOS/EFI firmware in order to get this function working properly. If system does not wake at expected hour then please make sure you have set a correct time zone and that NTP server or NTP protocol are not blocked in your network. You can check the system time on this webpage: link (must be whitelisted if needed). If the parameter is not present then kiosk is never powered up by the Real Time Clock. Run certain actions periodically. You can schedule a kiosk reboot, shutdown, browser restart, rsync action and more at specified hour and minute within each day of the week. NOTE: Linux shell syntax is supported so its possible to execute commands one after another (separate them with a semicolon as in the sample below), send them to the background, perform tests, use pipes, etc ... If scheduled actions does not run at expected hour then please make sure you have set a correct time zone and that NTP server or NTP protocol are not blocked in your network. You can check the system time on this webpage: link (must be whitelisted if needed). If the parameter is not present then no scheduled actions are run in kiosk. Disable all input devices like mice, keyboards, touchpads, touchscreens, digital pens, etc so its not possible to type, touch, scroll, draw or click on any objects on the screen. This is useful when kiosk works in a digital signage mode. If the parameter is not present or its value is set to 'no' then input devices are enabled in the system. Set the primary keyboard layout for the system. The list of known keyboard layouts and variants can be found here: link. If the parameter is not present then kiosk uses 'us' keyboard layout as default. Following parameter value format must be preserved: 'layout' or 'layout:variant'. Set the secondary keyboard in the system. The list of known keyboard layouts and variants can be found here: link. Use Ctrl+Space key combination to switch between the layouts during the session. If the parameter is not present then the kiosk uses only the primary keyboard layout. Following parameter value format must be preserved: 'layout' or 'layout:variant'. Disable the numlock key when system boots. Useful if you are having trouble with keyboards that have number panels. If the parameter is not present or its value is set to 'no' then numlock key remains untouched by the system. Default behavior (disabled/enabled) may be defined in the UEFI/BIOS. Hide the mouse cursor either permanently or after X seconds of inactivity. In the second case the parameter value must be provided as a number of seconds. This setting may be useful for touchscreens or when you want to display a static page or advertisement. If the parameter is not present then mouse cursor is visible all the time on the screen unless the disable_input_devices=yes parameter is used. Enable support for the right mouse click in the system. Right mouse click provides an access to additional menus (e.g. for Chrome browser or flash content) and is usually not needed in kiosk. You can enable it to cover rare cases, e.g. it helps when working with online documents. If the parameter is not present or its value is set to 'no' then right mouse click remains disabled. Provide touchscreen calibration data which can be obtained by running the 'xinput_calibrator --output-type xinput' command on a Linux system booted on the target hardware. Certain touch controlers may require proprietary drivers which are not included in Porteus Kiosk by default. Please contact support@porteus-kiosk.org when in doubt. If the parameter is not present then touch input device will use defautl system settings (may not work correctly). Multiple parameter values must be separated by a pipe character: '|'. Set custom screen parameters, disable certain video outputs, rotate screens or set them in certain position: e.g. create a video wall for digital signage. Data for the parameter (video output name, resolution, refresh rate) can be obtained by running 'xrandr' command over SSH on the target hardware. If the parameter is not present then kiosk uses the maximum supported resolution, refresh rate and brightness (laptops only) for each video output. It also sets the normal position for each display and scales smaller screens to larger ones automatically. The following parameter value format must be preserved: 'video_output:screen_resolution:refresh_rate:brightness:rotate:position' or 'video_output:disabled'. Multiple parameter values must be separated by space. 'rotate' can have following attributes: normal, left, right, inverted 'position' can have following attributes: normal, same-as-video_output (mirroring mode), right-of-video_output (extended mode), left-of-video_output (extended mode), above-video_output (extended mode), below-video_output (extended mode) WARNING: video output name matters! 'HDMI1' is not the same as 'HDMI-1'. Please login to kiosk over SSH and run 'xrandr' command to find proper names for video outputs otherwise 'screen_settings' parameter wont work correctly. By default the kiosk will keep the screen in a normal position but you may also rotate it to some other position. This parameter applies to all connected screens. If you need to specify other screen attributes like resolution, refresh rate, brightness or position (mirroring/extended mode) then please use more complex screen_settings parameter instead. If the parameter is not present then screens are never rotated. Set the default sound card in case you have no sound in the system or when you want to redirect the sound output to external monitor/TV. Data for the parameter can be obtained by running 'aplay -l' command on a Linux system booted on the target hardware. If the parameter is not present then device 0, card 0 is set as default sound card (if available in the system). The following parameter value format must be preserved: 'card.device'. Set the default microphone in case you have multiple capture devices in the system: webcam, USB mic, external sound card, etc. Data for the parameter can be obtained by running 'arecord -l' command on a Linux system booted on the target hardware. If the parameter is not present then device 0, card 0 is set as default microphone (if available in the system). The following parameter value format must be preserved: 'card.device'. Set a custom sound level for kiosk. When set to 0% the sound will be muted. If the parameter is not present then sound volume is set to 90% by default. The parameter value must be provided as a percentage in the 0-100 range. Protect the session with a password. Only authorized users will be able to use the system. If the parameter is not present then kiosk session is unlocked to all users. Run custom command during system startup. Your commands will be executed once network is established so utilities like rsync, wget and also graphical ones could work. Linux shell syntax is supported so its possible to execute commands one after another, send them to the background, perform tests, use pipes, etc ... NOTE: Use following syntax to execute the command with a delay: ( sleep 10; command; ) & If the parameter is not present then system will not execute any custom commands during startup. Enable the shutdown/reboot/suspend/restart-session kiosk menu by using the Ctrl+Alt+Del key combination, by pressing the PCs power button or by clicking on the "Exit" button in Cloud/ThinClient systems. Do not use this option if the kiosk is used publicly otherwise it may be powered off by unauthorized users. If the parameter is not present or its value is set to 'no' then shutdown menu is not available and kiosk shuts down immediately once the PC power button is pressed. Set the time (in minutes) of inactivity after which the screensaver is started. Inactivity is considered as no mouse/keyboard activity. The default 'ripples' screensaver will be used unless you use the screensaver_slideshow, screensaver_video or screensaver_webpage parameter. If screensaver idle time is set to '0' then screensaver should start immediately after boot. This option may be useful for digital signage use cases. If the parameter is not present then screensaver is never started and kiosk works continuously. Parameter value must be an integer (number of minutes). ZIP archive (other compression formats are not supported) containing JPG or PNG images which will be used for the slideshow. The ZIP file should be kept on the server at all times as it will be downloaded during every kiosk boot. If the parameter is not present then 'ripples' effect is used for the screensaver. Parameter value must have an URL format. Download ZIP archive containing screensaver slideshow images every X minutes. This is useful if you want to update the slideshow quickly without rebooting the system. If the parameter is not present then slideshow is updated only when system is restarted. Parameter value must be an integer (number of minutes). Default slide duration for the slideshow is 5 seconds (time between loading new image). This parameter allows to make it longer or shorter - depending on your preferences. If the parameter is not present then new image is loaded every 5 seconds. Parameter value must be an integer (number of seconds). Display screensaver slideshow images in random order rather than in alphabetical order. If the parameter is not present or its value is set to 'no' then images will be displayed in alphabetical order. Video file which will be used for the screensaver. It should be kept on the server at all times so you can update it on demand without kiosk reconfiguration. Browser application is used to play the screensaver video and must support relevant codecs through the html5 audio/video tags. It is possible to use a local video for the screensaver. If the parameter is not present then 'ripples' effect is used for the screensaver unless screensaver_slideshow or screensaver_webpage is used. Parameter value must have an URL format. Use webpage as the screensaver. This is useful if you want to display any multimedia content embedded on a specific webpage when system is not used. This function should be more configurable than static video or slideshow of images. If the parameter is not present then 'ripples' effect is used for the screensaver unless screensaver_slideshow or screensaver_video is used. Parameter value must have an URL format. DPMS turns the monitor off after X minutes of keyboard/mouse inactivity. If the parameter is not present then monitor is never turned off automatically by the system. Parameter value must be an integer (number of minutes). The maximum supported value is 540 minutes. Freeze the kiosk when the computer is idle/inactive for a defined number of minutes. If the parameter is not present then kiosk works continuously. Parameter value must be an integer (number of minutes). Standby the kiosk when the computer is idle/inactive for a defined number of minutes. If the parameter is not present then the kiosk works continuously. Parameter value must be an integer (number of minutes). Suspend the kiosk when the computer is idle/inactive for a defined number of minutes. If the parameter is not present then kiosk works continuously. Parameter value must be an integer (number of minutes). Power off the kiosk when the computer is idle/inactive for a defined number of minutes. If the parameter is not present then kiosk works continuously. Parameter value must be an integer (number of minutes). UEFI component allows booting Porteus Kiosk on PCs supplied with UEFI firmware and others supplied with traditional BIOS. If the parameter is not present then kiosk is able to boot only on the PCs supplied with the BIOS firmware. Multiple components must be separated by a space in the 'additional_components=' parameter. Adobe Flash Player NPAPI plugin allows Firefox browser to display web pages containing flash content. When using this parameter you automatically agree to the terms and conditions of respective proprietary license: link. If the parameter is not present then kiosk is not able to display the flash content in Firefox. Multiple components must be separated by a space in the 'additional_components=' parameter. Java JRE (Java Runtime Environment) and the java NPAPI plugin allows Firefox to display web pages that contain java content. If the parameter is not present then the kiosk is not able to run the Java applets in Firefox. Multiple components must be separated by a space in the 'additional_components=' parameter. ICA Client for Citrix Presentation servers. Works as NPAPI plugin for the Firefox browser or standalone application for variant ThinClient. When using this parameter you automatically agree to the terms and conditions of respective proprietary license: link. If the parameter is not present then it's not possible to connect to the Citrix servers from Firefox. Multiple components must be separated by a space in the 'additional_components=' parameter. DejaVu, libertine, liberation-fonts and fonts for displaying characters from Asian (Chinese, Hindi, Korean, Japanese, Thai, Vietnamese) and other languages. If the parameter is not present then kiosk may not be able to display the webpages with Asian languages and other content properly. Multiple components must be separated by a space in the 'additional_components=' parameter. PXE client allows booting the kiosk on multiple PCs over the network. To setup the PXE server please follow the following document: link. If the parameter is not present then it's not possible to boot the kiosk through the PXE services. Multiple components must be separated by a space in the 'additional_components=' parameter. SSH (Secure shell) service allows to connect/communicate to the kiosk machine via the SSH protocol. If the parameter is not present then it's not possible to connect to kiosk through secure shell. Multiple components must be separated by a space in the 'additional_components=' parameter. Root password that will be used to connect to the kiosk through SSH protocol or to setup printer parameters through the CUPS web interface. If the parameter is not present then a randomly generated password will be used making SSH connections almost impossible (unless bruteforced). Port number on which the SSH service will be listening. Custom SSH port helps avoiding brute force attacks performed by the internet bots. Defined port is opened in the kiosk firewall configuration. If the parameter is not present then port 22 is used for incoming SSH connections. By default the SSH service listens on all available network interfaces. For security reasons it may be required to configure the SSH daemon to listen on localhost (127.0.0.1) address only. You may activate this function if you use Porteus Kiosk Server version "Premium" for handling SSH connections to the clients. In other cases this function will make the SSH service unusable unless the system is manually customized with 3rd party application which tunnels SSH traffic to kiosk's localhost interface. If the parameter is not present then SSH daemon listens on all available network interfaces. VNC service allows to connect to the graphical interface of the kiosk from another computer via the VNC protocol. This is useful for monitoring what's happening on the kiosk screen (e.g. digital signage case). Port 5900 is opened in the kiosk firewall configuration. NOTE: VNC traffic is unencrypted. When connection is initialized from Porteus Kiosk Server then VNC protocol in tunneled through secure SSH connection. If the parameter is not present then it's not possible to connect to the kiosk through the VNC protocol. Multiple components must be separated by a space in the 'additional_components=' parameter. VNC password that will be used to connect to the kiosk through the VNC protocol. The password must be 8 characters or less. If the parameter is not present then a randomly generated password will be used making VNC connections almost impossible (unless bruteforced). Port number on which the VNC service will be listening. Custom VNC port helps avoiding brute force attacks performed by the internet bots. Defined port is opened in the kiosk firewall configuration. If the parameter is not present then port 5900 is used for incoming VNC connections. VNC interactive mode gives full interactive control to the computer that connects to the kiosk through the VNC protocol. If the parameter is not present or it's value is set to 'no' then VNC 'view only' mode is used for the connection unless 'vnc_query_user=yes' parameter is enabled. VNC 'query user' mode displays a popup window prior to establishing VNC connection and ask the kiosk user if incoming conneciton should be allowed, reject or allowed in a view-only mode. If the parameter is not present or it's value is set to 'no' then VNC 'view only' mode is used for the connection unless 'vnc_interactive=yes' parameter is enabled. By default the VNC service listens on all available network interfaces. For security reasons it may be required to configure the VNC daemon to listen on localhost (127.0.0.1) address only. You may activate this function if you use Porteus Kiosk Server version "Premium" for handling VNC connections to the clients, you will be tunneling VNC connection over SSH, utilizing Guacamole/NoVNC/websocket proxy or similar to tunnel VNC traffic to kiosk's localhost interface. If the parameter is not present then VNC daemon listens on all available network interfaces. Printing support for local printers connected directly through the usb, parallel or serial ports and remote printers connected over the network through the http, ipp, lpd or socket protocols. If the parameter is not present then it's not possible to print in kiosk. Multiple components must be separated by a space in the 'additional_components=' parameter. Printer model should be selected from the list of supported printers: link. If the parameter is not present then its not possible to print in kiosk. Define if your printer is attached directly to the kiosk PC (using usb, parallel or serial cable) or accessed over the network using the http, ipp, lpd or socket protocols. If the parameter is not present then it's not possible to print in kiosk. Set default paper size for the printer. Paper size (e.g. A3) must be supported by selected printer driver. You can find supported sizes in the print dialog window which appears in the browser (you can invoke it with 'Ctrl+P' shortcut). If the parameter is not present or its value is set to "default" then printer uses default paper size which is set in the PPD driver. Silent printing prevents users from changing printing related settings. If the parameter is not present or its value is set to 'no' then browser popups a window which allows to set the paper size, orientation, margins, header/footer and other settings. Share kiosk printer through the CUPS service so other PCs can print through it. Use following URI on the client side: ipp://kioskIP:631/printers/kiosk-printer. If the parameter is not present or its value is set to 'no' then the kiosk printer can not be used by other PCs. Set custom printer name. This feature allows to find to which printer the kiosk prints in case you have more than one printer available in the workplace. If the parameter is not present then system uses default 'kiosk-printer' name for the printer. Spaces in the printer name are not allowed. Provide linux kernel parameters which will be added to the system bootloader configuration. Use this parameter only if you are are having problems with kiosk hardware, e.g. power management does not work, wifi speed is slow, system freezes or hangs on reboot. 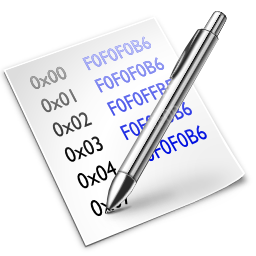 Full list of supported kernel parameters can be found under this link. If the parameter is not present then only default kiosk parameters (e.g. "quiet") are passed to the kernel. Set 2D DDX driver for your GPU card. WARNING: kernel modesetting, fbdev (framebuffer) and VESA drivers are generic, unaccelerated and offer less features than the default (Intel, AMD, nVidia, VIA, etc) drivers. Use them only if you are having display problems in kiosk. VESA driver requires additional parameter: "kernel_parameters=debug" - if this parameter is not set then VESA driver may not work correctly. If the parameter is not present or it's value is set to "default" then system uses default driver. Forces: homepage=/var/log/debug, enable_file_protocol=yes; disable_address_bar=no; disable_navigation_bar=no; autohide_navigation_bar=no; whitelist=""
Generate and display full system report during kiosk boot. The report can be sent using the online email account to support@porteus-kiosk.org in case of hardware/software/configuration issues. Certain kiosk settings are forced so please remember to disable this function when debugging is finished. If the parameter is not present or it's value is set to 'no' then kiosk works in default (production) mode.